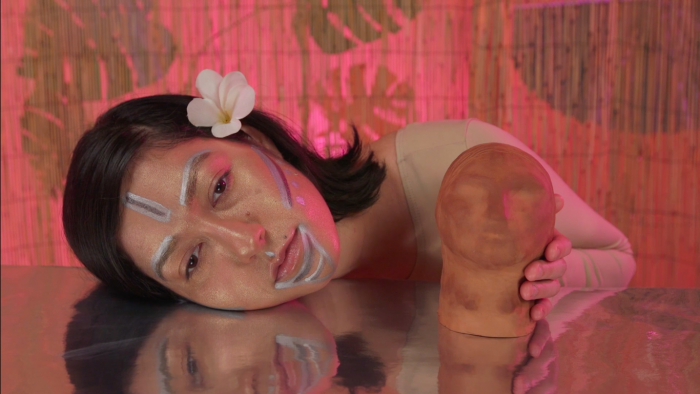 This February, Channel Silver Eye will bring the tropics closer through a presentation of video art from Panama. The selected works will invite viewers into this Central American country’s complex cultural landscape through a focus on common objects and unusual journeys: a voice adrift during the rainy season; a fantastic ride on a “Red Devil” bus; a famed French artist on a hazy mission a century ago; mangos on a rhythmic jaunt. Spanning almost five decades, the videos will shed light on regional histories and contemporary urban issues through glimpses of local landscapes, playful humor, and idiosyncratic aesthetic and aural choices. This event is curated by Paula Kupfer, who is an art historian specializing in modern art and photography from Latin America. She is pursuing a PhD in the History of Art and Architecture Department at the University of Pittsburgh. She was born in Panama. Image credit: Rachelle Mozman, Opaque Mirror, 2017 (still), courtesy of the artist. Paula Kupfer is an art historian specializing in modern art and photography from Latin America. She is pursuing a PhD in the History of Art and Architecture Department at the University of Pittsburgh. She was born in Panama.